Mom Knows Best : Giveaway! Kick Flipper Is A Skateboard Without Wheels And A Whole Lot Of Fun! Giveaway! Kick Flipper Is A Skateboard Without Wheels And A Whole Lot Of Fun! I went to a blogging conference last July. This conference was all about toys and they had an expo with companies featuring their toys. One of the companies at the expo was PlaSmart and they had a cool new toy on display called Kick Flipper. I knew that my boys would love to try out the Kick Flipper so I of course contacting the company. PlaSmart send me a Kick Flipper so my boys could try it out. My boys were so excited when they heard that they going to receive a Kick Flipper. So what is a Kick Flipper? A Kick Flipper is a hard piece of plastic that is like a skateboard without wheels. Kids of all ages can do tricks on it just like a skateboard. 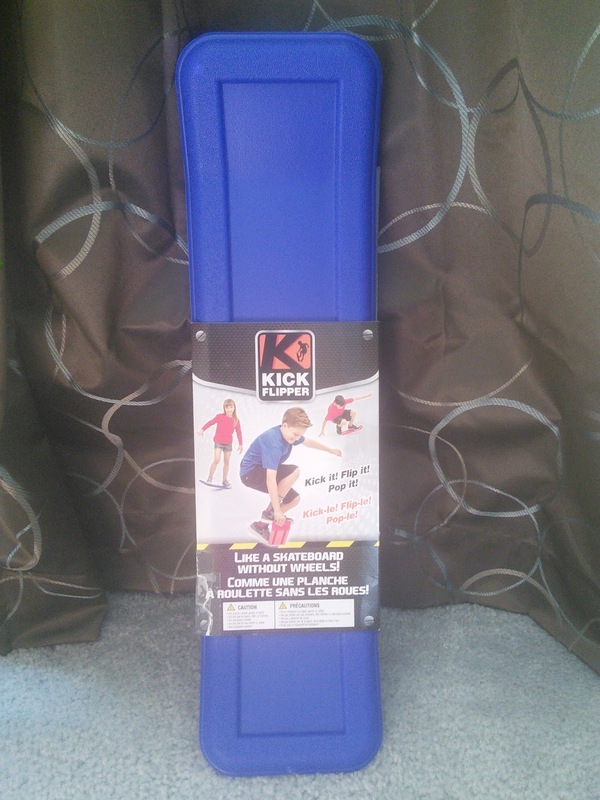 Kids can practice tricks and learn basic boarding tricks with the Kick Flipper. This board works on carpet, grass and sand. Kids can Kick it! Flip it! and Pop it! 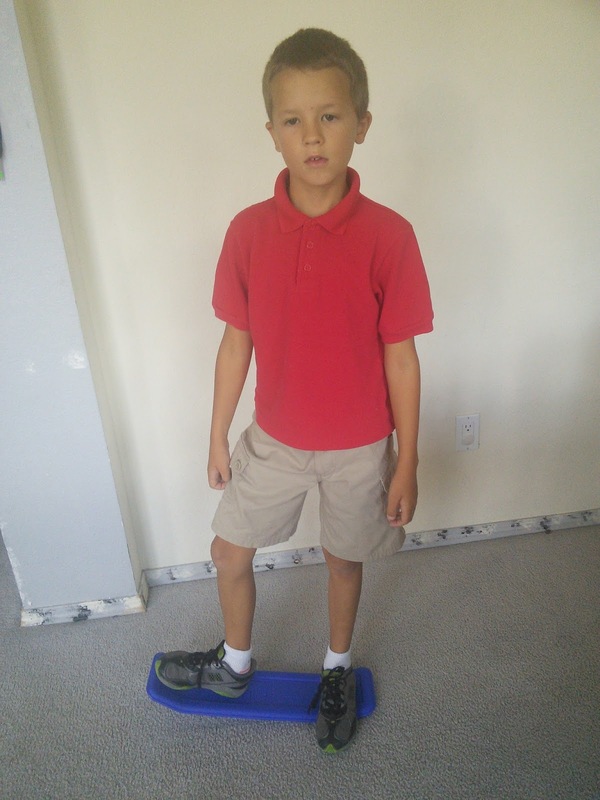 The board supports up to 200 pounds so even grown ups can get in on the fun. When the Kick Flipper arrive all three of my boys wanted to try it out. They stood on it and had no clue how to make it work. So we viewed instructions and a video on the PlaSmart website www.KickFlippers.com. Once they got they hang of it, my boys had a blast playing with the Kick Flipper. I love that my boys can use the Kick Flipper indoors on the carpet, great fun when it is cold outside, or at the park on grass or sand. We don't have grass in our yard as we live in the desert, so my boys will take the Kick Flipper to the park when they want to have some wheel-less skateboarding fun. My boys are still getting the hang of this cool toy so check out this video on the Kick Flipper website to see the toy in action. Get more information on the Kick Flipper the PlaSmart website their Facebook page. 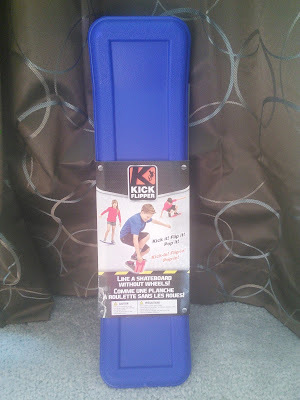 The Kick Flipper is new so it is just coming to stores that sell toys. In the meantime you can win a Kick Flipper so you kid can have some incredible fun. Just enter on the form below and good luck! I would also love to have the Plasmacar! The PlasmaCar and the PlasmaBike look really cool! I can see boys getting into this! Light and easy to maneuver, right? Riiiiight. I like the Drop Shot, seems like an interesting thing to play with! Looks like a lot of fun! I also like the carpet skates. Both of these would be great for some indoor fun during the winter months. Thanks for sharing! I like their Magic Canvas. SOmething the kids would love! I know my daughters would love to try this skateboard, very cool! I think they would also like their art kits! They have so many fun-looking products, I think my kids would love to have the carpet skates for when it's raining or too cold to play outdoors. All 3 of my boys have plasma cars and they love them. They have rode them all over the place and have a blast on them. The carpet skates looks awesome! The Carpet Skates look like fun! My girls have plasma cars, and they love them! I would like the Smart Matt! I like the plasma bike. I like the Plasmacar. Thank you for the chance. I like the Plasma Bike! Oh my gosh! This looks like so much fun! Perfect for an indoor winter activity! With active girls, I'm always on the look out for those. Not only do we like the plasma car, we have one too! They are awesome. 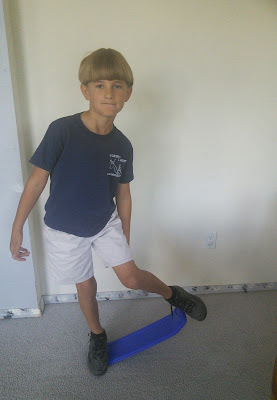 I think my son would love the Fun Slides Carpet Skates since we wont let him use his roller blades on our hardwood kitchen/dining room floor! I think the Plasma car looks cool. My son would love it! There are many places where one can skateboard. This article discusses the many different places that a skater can skate. It also talks about the different skateboarders that made certain terrains famous for skateboarding.